A Eco yoga mat, Mysore yoga rug or Ashtanga yoga rug is, without doubt, of the best things to happen in the yoga scene in the past few years. 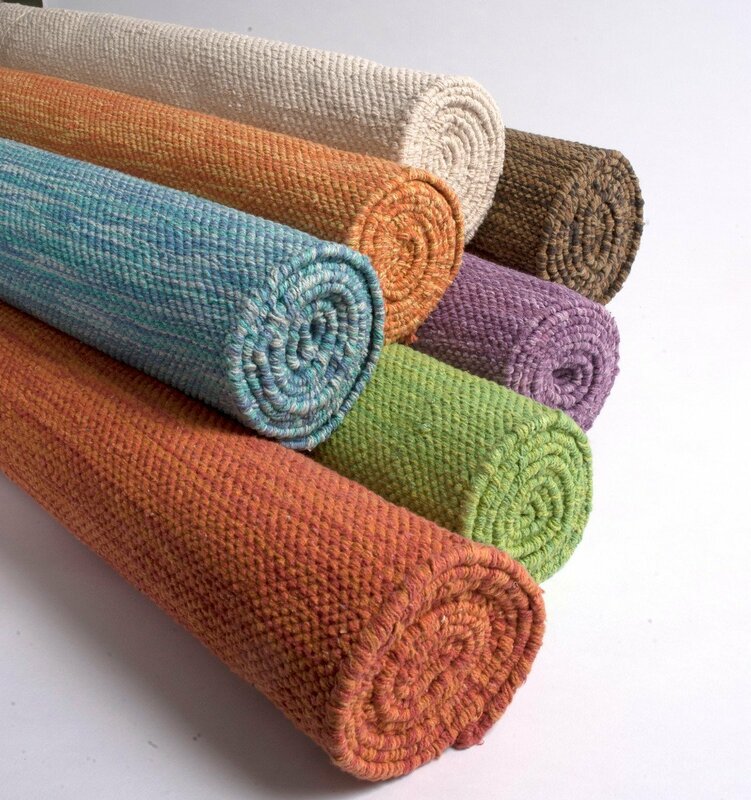 Just ask any fan of Ashtanga yoga, Bikram yoga or Power Yoga…Because when you start using one of these eco-friendly yoga rugs, your struggles with horrible, ugly plastic yoga mats become a thing of the past. Slipping in your own sweat when practising hot yoga will be a distant memory. And you’ll start being proud of your eco yoga mat, instead of wishing you didn’t have to compromise your eco-values for the sake of your yoga practice. Even though they’re a recent introduction to the popular yoga scene, an organic cotton yoga rug was used in India for centuries and are the most authentic, natural way to deepen your yoga practice. They’re plastic-free, often dyed using natural pigments and usually handmade so they can give something back to the Indian economy. We love them so much that we’ve decided to round up ten of our favourite organic cotton yoga rugs to help you can make sense of what’s available, weigh up the pros and cons and treat yourself to one of these beautiful yoga rugs. For those of you who want a luxurious organic cotton yoga rug that you’ll be proud to carry to class, make sure you treat yourself to this beautiful coarse weave yoga mat. Perfect for those sweaty moments in your Ashtanga or Power Yoga class, this one actually grips better to the floor as you turn up the heat and get that prana flowing. I love the embroidered ‘Om’ and that fact it’s created using sustainable textiles. Looks beautiful, doesn’t it? It can be hard to find your perfect yoga rug when you’re slightly taller or larger than average, but you don’t need to worry about this wide organic cotton yoga rug from Elephant Yoga. Available in three natural colours (turquoise, grey and terracotta) that won’t distract you from your yoga practice, and created by hand in India, this wide yoga mat is perfect for everyone. This one is also quite light, weighing in at just 1.2 kg, making it great for both travel and everyday use. 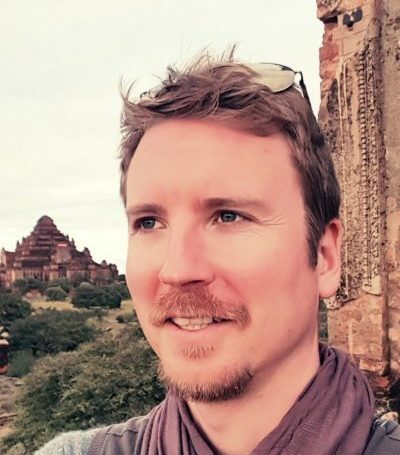 It’s an excellent choice if you’re looking for a compromise on affordability, sustainability and getting the most from your yoga practice without the ‘slip-factor’. 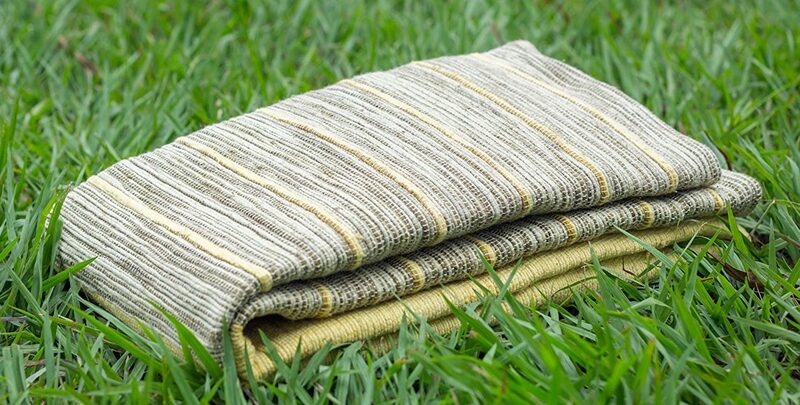 This eco-friendly organic cotton yoga rug will keep any minimalist yogi happy. It’s beautifully simple, eco-friendly, handmade and perfect for those sweaty moments in your practice. Crafted in a traditional style in India and available in natural white or purple, it weighs very little so you can just stuff it into your cool yoga bag. 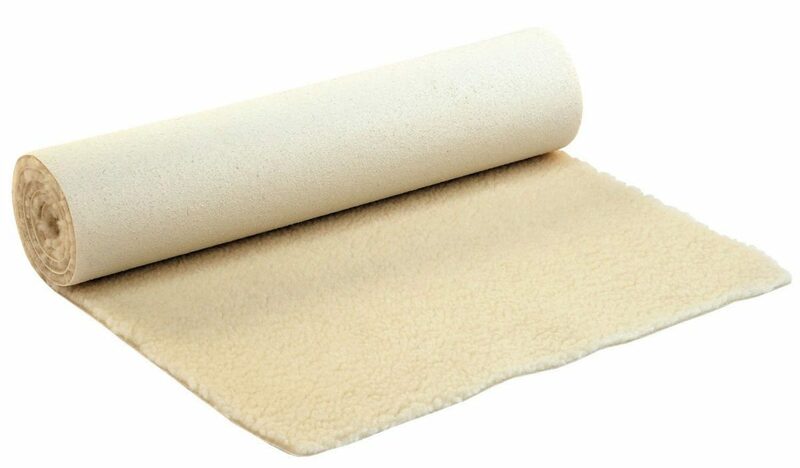 Best of all, it grips brilliantly to any surface without feeling uncomfortable under your feet and hands and can even be washed in your machine. I’ll be adding this one to my birthday wish list! When it’s cold outside and you want to stay warm and cosy but you still want to practice yoga, turn to this thick, luxurious yoga mat. Made from 100% lambswool, it’s soft, well-insulated and feels comforting and indulgent especially when you’re settling into seated or lying poses. I love this one when I’m doing a Hatha yoga, Yin yoga, Yoga Nidra or restorative yoga class as it adds that element of comfort. It also features a clever non-slip underside to help you stay exactly where you want to. But you’ll need to take care of yours with love- they’re hand-wash only and don’t appreciate direct sunlight. Add a splash of gentle colour to your yoga practice by choosing this handwoven organic yoga rug created in Kerala, India. Dyed using only plant and herb pigments which adhere to Ayurvedic principles and offer healing benefits to your yoga practice, this organic cotton yoga rug is natural, eco-friendly, washable and entirely non-toxic. Cleverly designed grip-lines mean that your downward-facing dog won’t cause you to start slipping around the room whilst feeling comfortable under your hands and feet. This makes it by far one of the best yoga mats for hot yoga. I love it! These colourful, eco-friendly, sustainable yoga mats are by far some of my favourites on this list. Not only are they stunningly beautiful, they’re easy to wash, perfect for outdoor use and even come with a 15-year guarantee. I love the fact that they donate a portion of their sales to the local economy so that they can give even more back. It comes in seven bright colours, it’s perfect for all types of yoga and your yoga friends will be begging you for a try. Forget slipping around on a regular yoga mat and try this bright blue, GOTS-certified 100% deluxe cotton yoga mat instead. Weighing just 1.1kg, it’s lightweight enough to use as a travel yoga rug and rolls up beautifully to fit into your cool yoga bag. 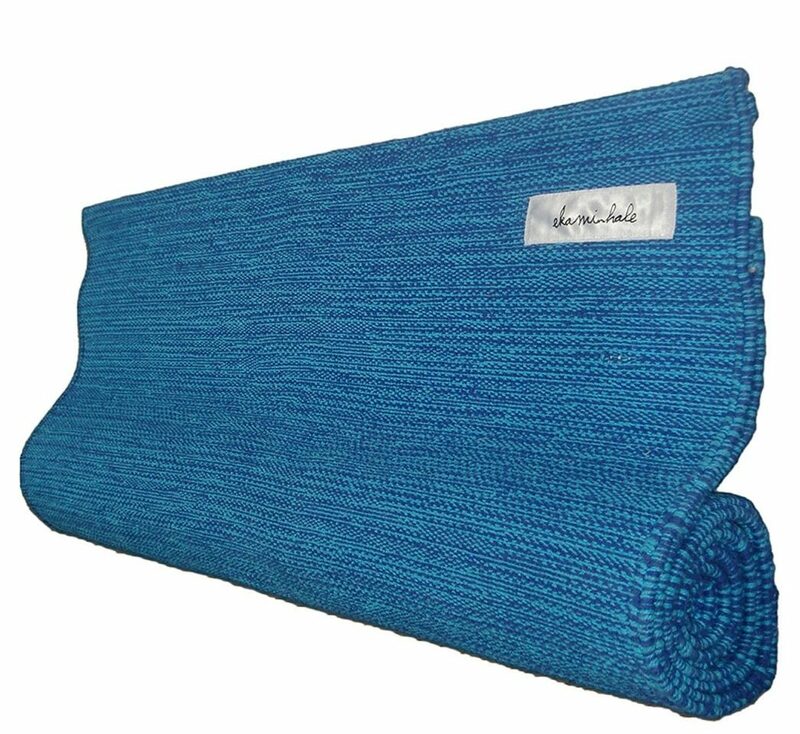 Designed for use in Ashtanga Yoga Mysore Style yoga classes, it has been handmade by real weavers who use their local weaving tradition to create a deluxe yoga mat that breathes yogic principles. I love the soft texture, the ease at which you can roll it way, and of course, the fact that they donate 10% of their profits to the Mysore Foundation. If you still struggle with slipping despite using a cotton mat, make sure you check out this Anti-Skid yoga mat from Arka. 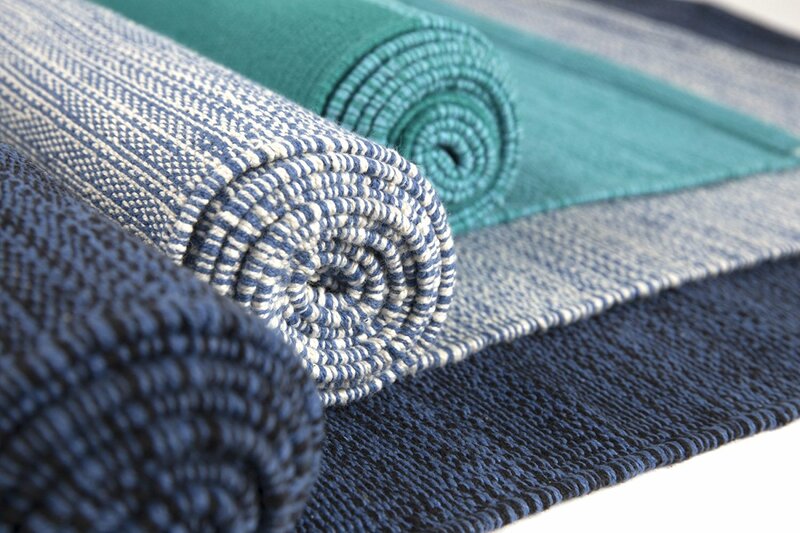 Created using 100% cotton and made by hand, this close-weave yoga mat has an extra touch- an anti-skid treatment that will help you stay in perfect alignment during your yoga practice. This makes it another excellent choice for hot yoga that feels good, looks good and helps protect the environment from plastic pollution. It folds up pretty small so that you can tuck it into your yoga bag and go! Want to get a unique cotton yoga mat that speaks volumes about your edgy personality? Then get yourself a Ashtanga yoga rug. 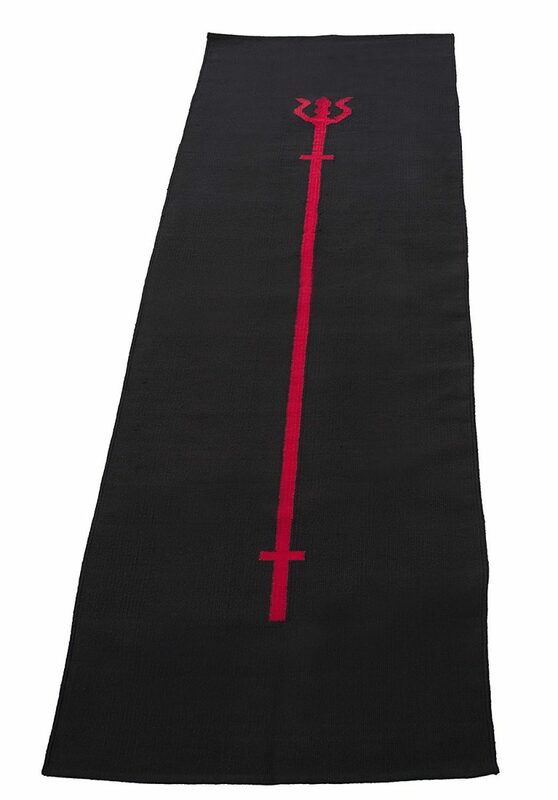 Unlike most yoga rugs, this one comes in ebony black with a deep red trident design, making it oh-so-special and helping improve your alignment during your yoga practice. As you’d expect, it’s also 100% cotton, provides excellent grip and works wonderfully for any kind of yoga where you’re likely to sweat, including Ashtanga Vinyasa Yoga, Hot Yoga, Power Yoga and Bikram Yoga. 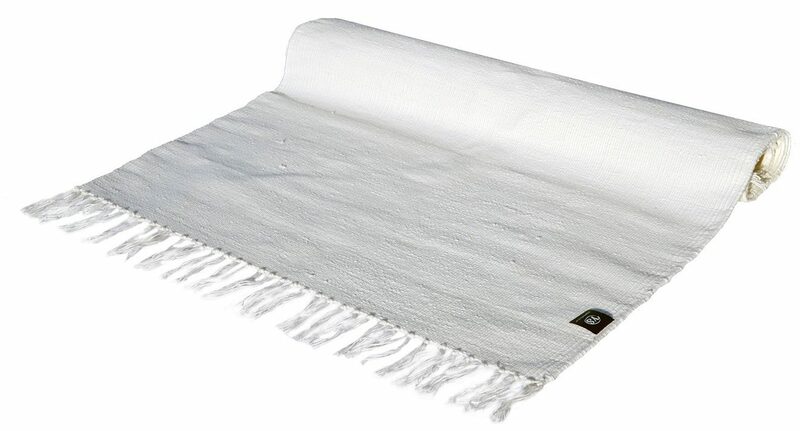 If you love taking your yoga practice outside, check out this beautiful cotton yoga rug by Hugger Mugger. It’s completely natural, it’s thick and durable enough to withstand the elements, it’s free of those nasty artificial smells and it’s colourful enough to keep you feeling cheery whatever your mood. Whilst it’s available in several lovely colours including green, purple, blue and multicolour, the best feature has to be the stripes- they really help with alignment so help you develop your yoga practice or make the most of your yoga class or retreat. Forget those nasty plastic yoga mats which have you slipping everywhere and contribute to global pollution, and choose one of these beautiful cotton yoga rugs instead. They look a million times better than the regular yoga mats, they’re the most authentic choice, they’re natural, sustainable and an essential addition to anyone’s yoga practice. 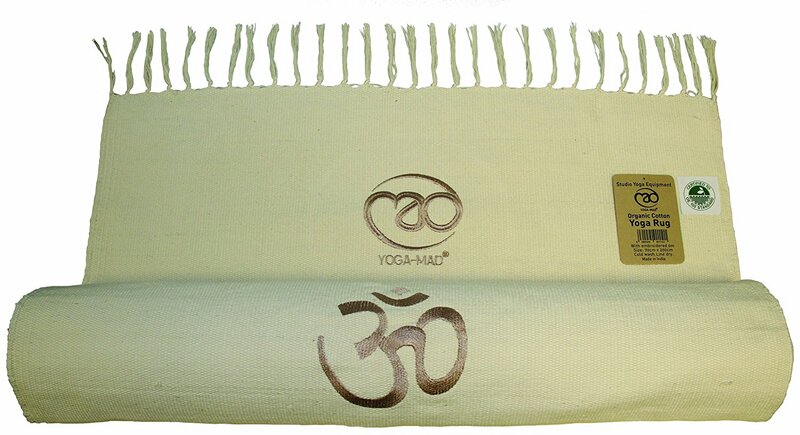 Treat yourself this year and get your hands on an eco yoga mat, yoga rug, Ashtanga yoga rug or Mysore yoga rug. 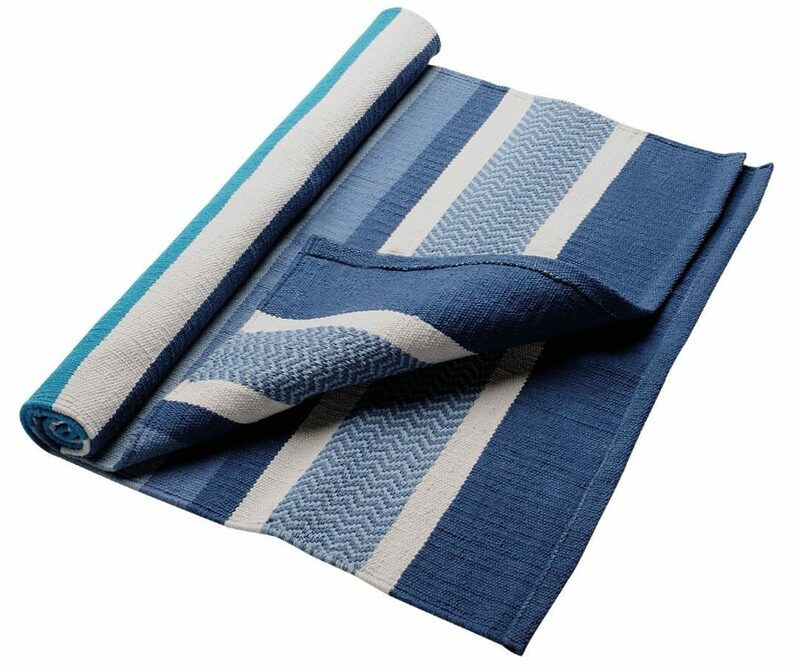 If you are interested in Yoga Products, you might be interested to read our guide to the Top 10 Yoga Blankets or Eco Yoga Mats? Do you have a Mysore yoga rug or Ashtanga yoga rug, did we miss something?? Let us know in the comments below.